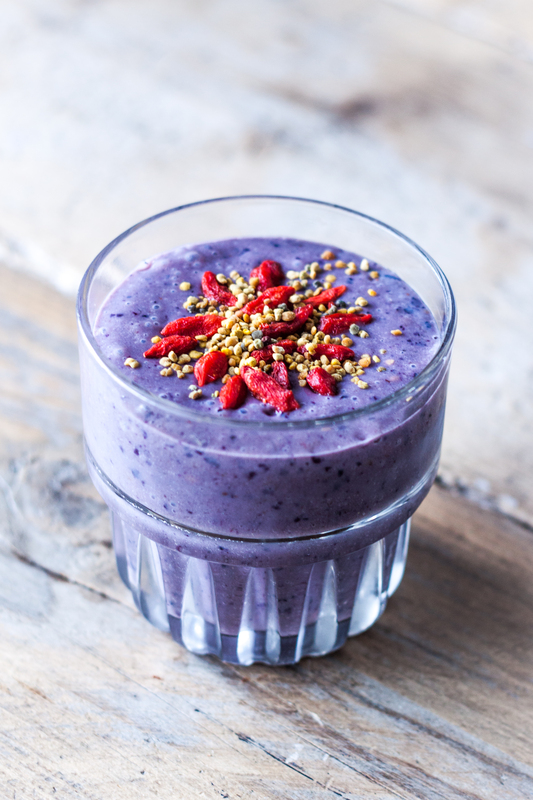 Blend it all together but keep some of the superfoods aside to top it off. If you want it to be (even) more filling – add 1/2 cup of raw oats or almonds. Enjoy! Simple as that. Follow me on Pinterest, Instagram & Facebook for more inspiration and recipes. Ask me anything via my personal Twitter account, or follow my recipe Twitter account! That colour is sooooo pretty !!! Wow! I gasped when I saw this! So beautiful! Thanks so much! Great blog, thanks for sharing. I really love that skincare video. She’s funny, and right! 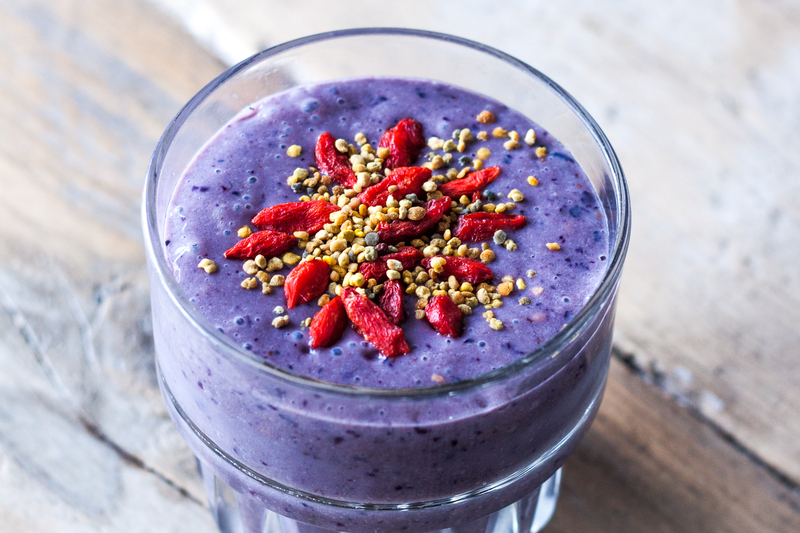 This is probably the prettiest smoothie I’ve ever seen :). Gorgeous photography!